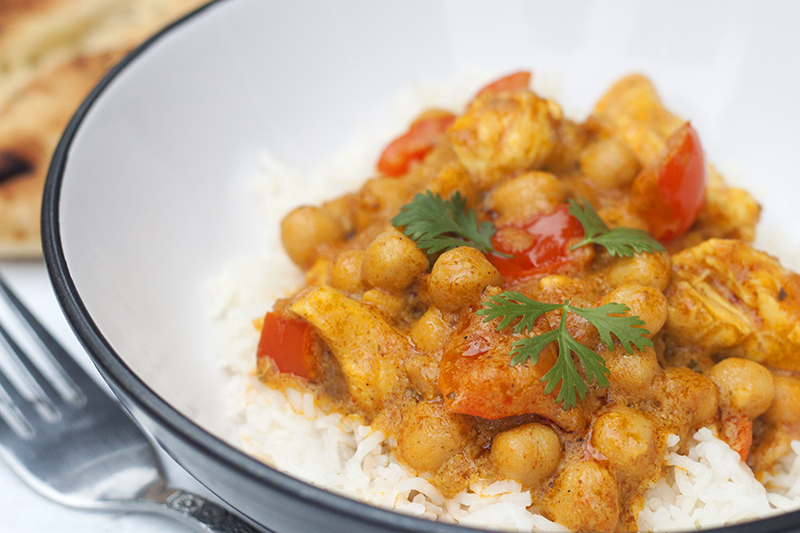 This is another one of those fantastic easy go to recipes for mid week tea for two reasons. 1. It tastes so good and is a great fix mid week. 2. I generally always have the ingredients in. I first found out about this quick and tasty chicken curry recipe from a work mate who kindly let me taste her lunch (I was very jealous it wasn’t mine) and since I wrote it down I must make it at least every other week. Heat the oil in the pan and add the curry paste. Fry for 1 minute. Add the coconut milk to the paste and mix well. Cook for 2 minutes. Add the peanut butter and mix well. Add the chicken pieces, chickpeas and peppers. Cook through for 20 minutes. Stir occasionally so nothing sticks and the chicken cooks through. Whilst the curry is cooking boil the rice. 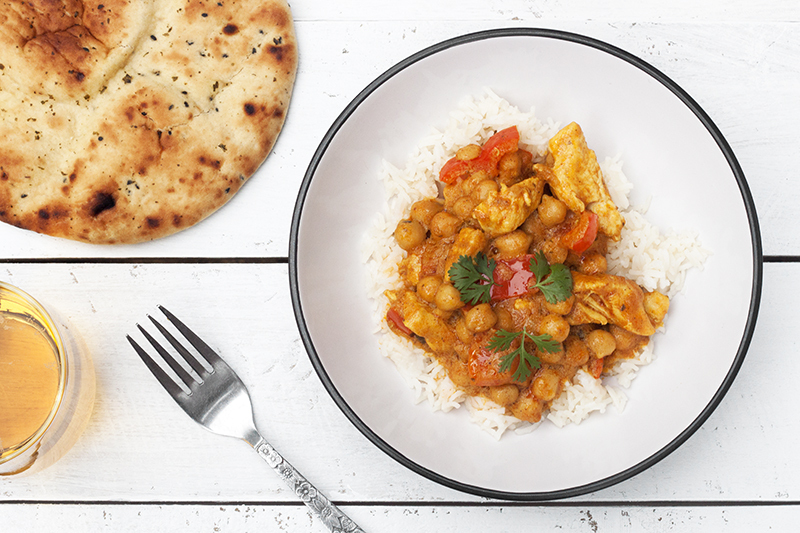 When everything is cooked, plate up the rice and serve a generous amount of curry on top. Garnish with fresh coriander. Delicious!